The Other Side of Bipolar is for anyone who has been diagnosed, labeled or felt different and wrong in this world. Lauren’s story will captivate readers and show them a path to finding peace and joy with being different. And ultimately how to utilize that difference to shift from surviving in this world to thriving at creating it. What can be expected from life after a diagnosis of mental disorder at the age of fourteen, and how does an individual struggling for normalcy face years of being drugged, disempowered, and criticized? The Other Side of Bipolar documents what happens after a diagnosis of bipolar depression and recounts life before and after this event, but its strength lies in its candid revelations of the process that led Lauren Polly to journey from a life filled with medications to a radical new transformative perspective about her abilities. It’s this journey that sets The Other Side of Bipolar apart from other autobiographical surveys of psychological struggles, offering readers the rare opportunity to explore and utilize many of the gifts formerly identified as disabilities. Any who have faced such a diagnosis will find this an inspiring, engrossing saga which offers hope, revelation, and much food for thought as it follows a journey that takes the identification of ‘bipolar’ and turns it upside down. These shining examples of her evolving feelings cover loss, confusing intersections of life and psyche, and how she achieves an uncertain independence while on a roller coaster of life experiences. They capture her choices, outline areas of confusion, and include the effects of family and professional support systems, and they assess the pros and cons of various strategies and how she discovered her own path through the darkness. Beyond ‘stable’ and ‘safe’, there is success. Lauren leads those who would reach beyond maintenance into new worlds of achievement and guides them there, from a world of traditional approaches to an alternative of hope. 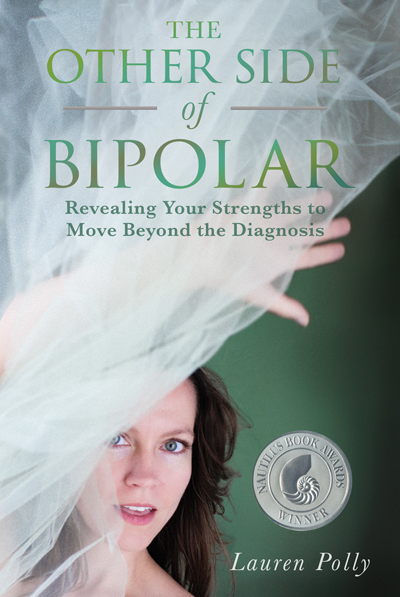 Any who have been diagnosed as bipolar or who want a clear road map to a better approach will find The Other Side of Bipolar an engrossing, essential portrait of one woman who learned about mental health empowerment and how to reclaim hope. What can be expected from life after this process? There’s no better indicator of all the possibilities than The Other Side of Bipolar.